As a Community of Practitioners, we are available for individual consulting assignments or as select teams to address your needs. If you are seeking a team for a particular assignment, please contact info@sustainablesolutions.consulting. If you are seeking an individual consultant, please contact the consultant of choice directly through their email address provided below. and we will identify the appropriate consultant to support your needs. As the founder of Sustainable Solutions, Eleanor has nearly 25 years of experience supporting sustainability initiatives in Africa, Asia, Pacific islands, Mediterranean, and West Indian Ocean regions. Working with a wide range of organizations, from international NGOs & Government departments, through to small-scale community groups & district government offices, Eleanor’s areas of specialism include: marine and coastal management (MPAs, ICZM, EAFM), training and capacity building, sustainable tourism, multi-lateral environmental agreements (MEAs), and community-based natural resource management (CBNRM). Key support areas include: strategic planning, program design, research, fundraising, social marketing and communications, workshop design and facilitation, taking ideas from paper to practice, and conducting monitoring, evaluation and learning (MEL). 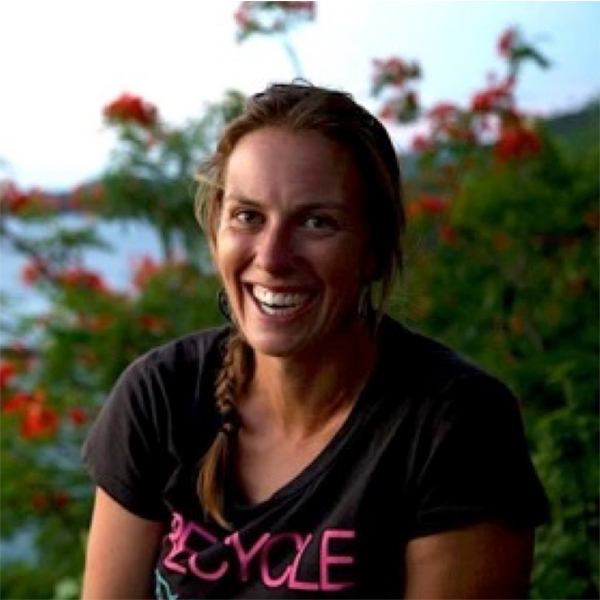 In addition to her consulting work, Eleanor is the Successional Director of the award winning Chumbe Island Marine Protected Area (MPA) in Zanzibar, Tanzania, where she was the first Project Manager through the design, development and implementation phase in the mid-nineties. This first financially self-sustaining MPA in the world continues to flourish today, with all operations fully funded by cutting-edge zero-impact ecotourism, where 100% of funds generated from visitors are re-invested in MPA management, research, and education for school children. 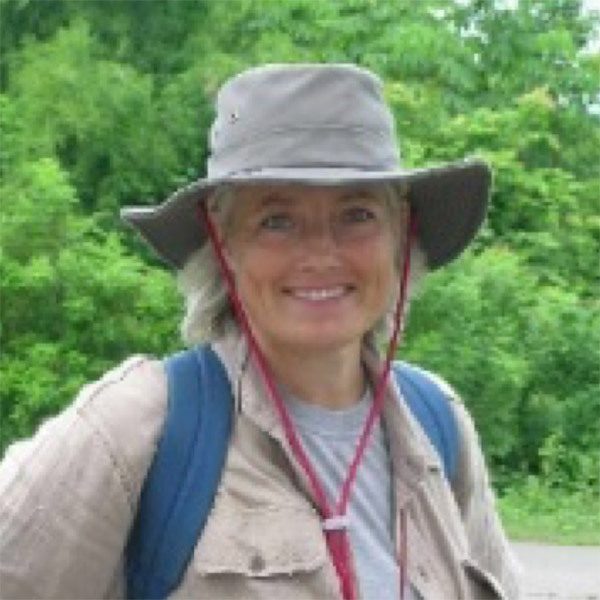 Eleanor has also held posts as the Senior Advisor to The Nature Conservancy (TNC) and Executive Director of Environment and Development Consulting. She is a certified Technology of Participation (ToP) trainer and facilitator, holds a Bachelors with honors in Ecology from London University (UK), a post-graduate diploma in Environmental law, economics and policy from the University of Massachusetts (USA), and was awarded a distinction-level Master of Philosophy (MPhil) in Environment & Development from the University of Cambridge (UK). Belinda has over 25 years of experience initiating or supporting sustainable conservation initiatives in Asia – predominantly Thailand – and Kenya, working with a range of organizations from International NGOs, government agencies and universities to local NGOs and community groups. Belinda’s primary role has been directing or managing projects focused on sustainable natural resource management and conservation for the benefit of wildlife and local communities. Specific areas of experience include: protected area management and protection; training and capacity building; monitoring, evaluation and shared learning; wildlife and ecological surveys; conservation buffer-zone development; advising community and government policy/practice; sustainable tourism feasibility and implementation; community-based natural resource management and sustainable livelihood development; and most of all, human-elephant conflict mitigation. In 1991, following the death of her Thai partner, Belinda co-founded the namesake ‘Seub Nakhasathien Foundation’, and in 2000 she co-founded and directed the ‘Elephant Conservation Network’ (ECN) which became ZSL-Thailand in 2014. ECN succeeded in reducing human-elephant conflict through diverse crop protection measures and by improving the ecological integrity of the target area which also enabled tigers to recolonize. Belinda has a BA (Hons) in Human Sciences from Oxford University and an MSc (Distinction) in Conservation & Tourism from the Durrell Institute of Conservation & Ecology, University of Kent. In 2011, she was awarded an OBE for 25-years of service to nature conservation in Thailand. 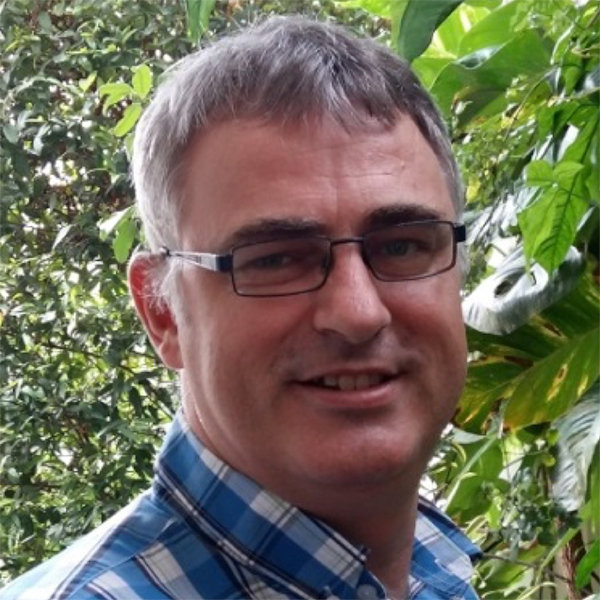 Stuart has over 20 years of global experience as a Geographic Information Systems (GIS) Manager and Analyst with International NGOs. He has worked primarily in developing countries providing GIS support, capacity building and leadership on sustainable development and natural resource management projects. Specializing in GIS for spatial planning, Stuart’s areas of expertise include: advanced GIS analysis; Systematic Conservation Planning (SCP) workflows, tools and procedures; Remote Sensing (RP) mapping; and Global Positioning Systems (GPS) data collection and management. Formally The Nature Conservancy’s Asia Pacific Conservation Data Node Manager and Analyst he has participated in and led the GIS component of numerous multi-national conservation planning exercises. He is currently a partner with Forest Inform Partners Pty Ltd, combining government agencies’ and stakeholders’ decision rules with spatial data for forest land use conflict resolution, regional development integration and SCP. 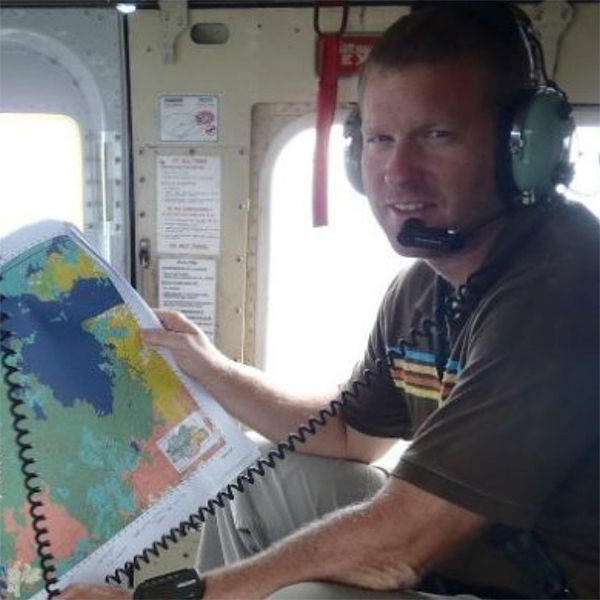 Stuart is also a Senior Faculty Specialist at the University of Maryland’s Department of Geographic Sciences, USA. Stuart holds a degree in Geography and Cartographic Sciences from George Mason University, Fairfax, VA and has strong applied technical skills in the principles and practices of GIS spatial planning. Stuart extends his GIS services through collaboration, training and mentoring of participants within a range of cultural, professional and government frameworks. Laura is a committed conservationist, participatory practitioner and environmental educator dedicated to working collaboratively for terrestrial and marine natural resource management and community well-being. 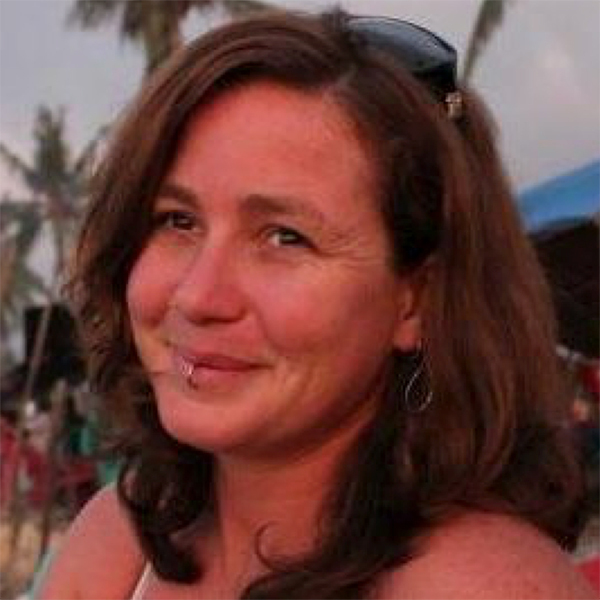 Laura has extensive experience in Australia and eastern Indonesia managing stakeholder relationships and building awareness through disseminating scientific knowledge, engaging a broad audience, and skills sharing. Areas of focus include: mentoring, training and capacity building; community based natural resource management (CBNRM); natural resource assessment, monitoring, evaluation and learning (MEL); environmental interpretation and knowledge development; ecotourism; science communications; report writing; and fundraising. Laura holds a Postgraduate Diploma in Forest Ecosystem Science and a Bachelor’s degree in Environmental Studies and Indigenous Studies from the University of Melbourne, Australia, as well as certifications in Project Management Practice and Business Administration. Jensi has more than 10 years of experience in supporting sustainability initiatives with iNGOs & Government departments in Indonesia. Jensi’s areas of specialism include: integrated marine and coastal management (MPAs, EAFM), training and capacity building (ecological and social impact assessment, scuba diving, popular writing), and community-based natural resource management (CBNRM). 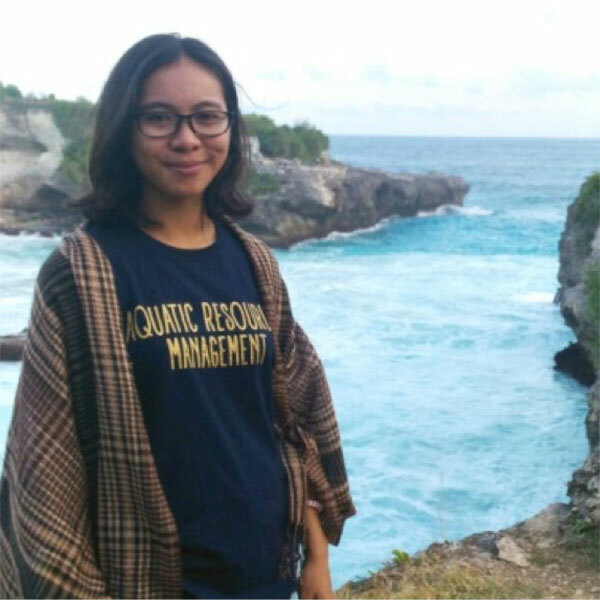 Formerly Director of Reef Check Foundation Indonesia, and Program Development Specialist for ‘Publish What You Pay’ Indonesia, Jensi’s key areas of focus include: strategic planning, program design, research and fundraising. Jensi holds a Bachelors degree in Marine Ecology from Diponegoro University, Indonesia; and a Masters degree in Natural Resource Management from James Cook University, Australia. Johan has nearly 20 years of experience in sustainable development programming supporting NGOs and local governments in Africa and Asia. His expertise particularly lies in the sectors of Food Security and Sustainable Livelihoods, including the principles of Climate Change Adaptation (CCA), Disaster Risk Reduction (DRR) and Community Based Resource Management (CBNRM). Formerly holding Senior Advisory roles his expertise covers the complete cycle of program design, implementation, monitoring, evaluation and learning. While he continues to provide services like technical training and contextual analysis like market and value chain analysis, his emphasis as a consultant is in Monitoring Evaluation and Learning (MEL). He designs and conducts participatory Baseline and Evaluation studies for International NGOs and caters them to the need and capacity of local organizations and other stakeholders in developing countries and emerging economy nations, including the application of appropriate (Information) technologies. 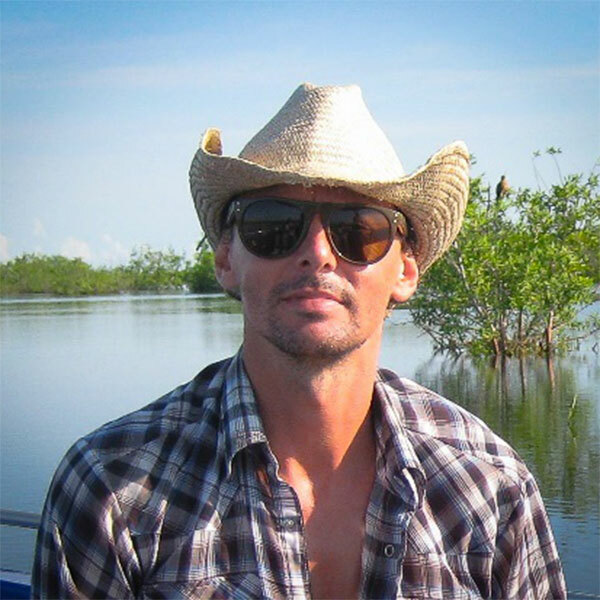 Johan holds a Bachelors degree in Forest and Nature Management, with a specialization in Tropical Forestry, from Van Hall Larenstein, a University for Applied Sciences in the Netherlands. He continued studying online gaining diplomas in Development Management from the Open University of the United Kingdom, and Climate change adaptation and mitigation of the University of Kopenhagen, Denmark. Jason is a specialist in marine & coastal resources management and climate change. He has specific expertise in fisheries governance & co-management; climate change vulnerability assessment & adaptation; sustainable coastal livelihoods; tropical mariculture; marine protected area (MPA) management & management effectiveness; fisheries law enforcement & IUU; endangered species research & conservation; coral reef monitoring & research; strategic planning; project design & project cycle management; monitoring and evaluation; proposal writing & fundraising. Jason has worked for bi-lateral, multilateral and non-Government organizations, including the Intergovernmental Oceanographic Commission of UNESCO, the UK Department for International Development (DFID), World Wildlife Fund (WWF) and the World Bank in East Africa (Tanzania, Kenya & Mozambique) & South Asia (India, Sri Lanka & Maldives), also Vietnam. He designed and managed a UK-Association for Project Management (APM) award-winning fisheries management and coastal livelihoods project in Tanzania between 2005 and 2010. 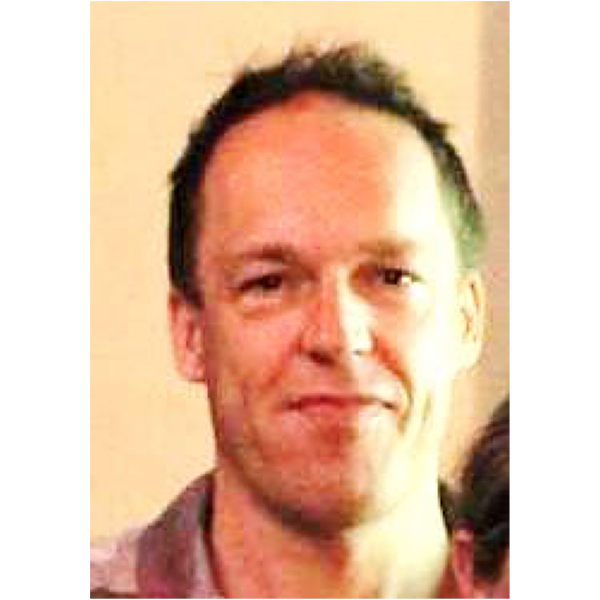 Jason is now the Director of Sound Ocean Ltd, an independent consultancy company established in 2013 and based in Tanzania. He has a Bachelors degree in Philosophy and Sociology from Bristol University, UK; and a Masters in Tropical Marine & Coastal Management (Distinction) from Newcastle University, UK. Emily has over 15 years of experience internationally and in Australia, specializing in supporting and strengthening grassroots organizations to adopt long term sustainable solutions and improving community engagement strategies. Emily applies gender and social inclusive principles to foster significant, sustainable change at community and organizational levels. Emily’s work is focused on gender, community and social inclusive approaches, based on a human rights and strengths based framework. Her strengths are in building networks and connections and utilizing existing assets and resources to create sustainable solutions. She is also an experienced facilitator and trainer, able to design programs that best suit individual organizations and groups using a diverse range of adult education techniques. Training and facilitation experience includes strategic planning, research methodologies, participatory action research, community based approaches, human rights, family planning, organizational development, project management and gender and socially inclusive approaches. Emily holds a Bachelors degree in Youth Studies, and a Masters in Professional Studies, International development, peace, conflict, environment and adult education from the University of New England, Australia. As an experienced and passionate human rights advocate and lawyer, Melissa has an approach that is grounded in community-driven, culturally informed and practical solutions. Equipped with a particular skill at understanding complex and nuanced issues, and a deep compassion for and interest in cultural difference, social disadvantage, and/or vulnerabilities, she has directed her career to bridging gaps and divides, whether they be organizational between management and workers, administrative between donors and local practitioners, or systemic between traditional and formal political and justice systems. Melissa offers a broad range of experience in law, law reform, policy, advocacy, research and community development working for institutions, local civil society, INGOs, donors and foundations in the not-for-profit, commercial and Governmental sectors. Her work to date has focused on supporting organizations across Australia, the United Kingdom and Timor-Leste. As a qualified lawyer Melissa holds a Bachelor of Law (Honours) and Bachelor of Arts (Politics and International Relations) from the University of New South Wales, a Graduate Diploma in Legal Practice and Law from the College of Law, New South Wales, and is an alumni of the Hague Symposium on Post-Conflict Transitions and International Justice (IPSI, Washington DC, USA). 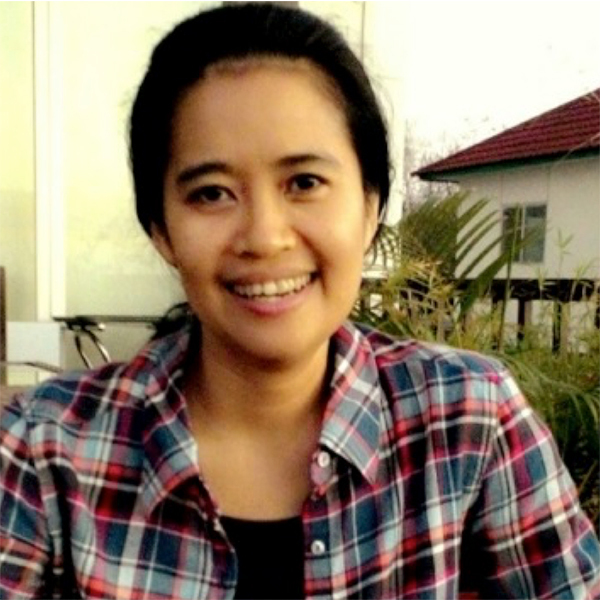 As an Engineer Dulce is the co-founder of ‘Women in Engineering’ in Timor-Leste. Her areas of specialism include: strategic planning, design, implementation and monitoring of Water Sanitation and Hygiene (WASH) in Schools (WinS component); hygiene promotion via the Child to child ( C2C) methodology; promoting behavior change through school health clubs; overseeing construction of WASH facilities; and conducting training and capacity building (including Training of Trainers – TOT – at national and district levels). Dulce previously worked with NGOs such as Plan International and has worked closely with the Ministry of Education and Health in Timor-Leste. As the inventor of a specialized sustainable toilet her work has focused on bringing hygiene and health benefits to rural and remote areas in SE Asia. 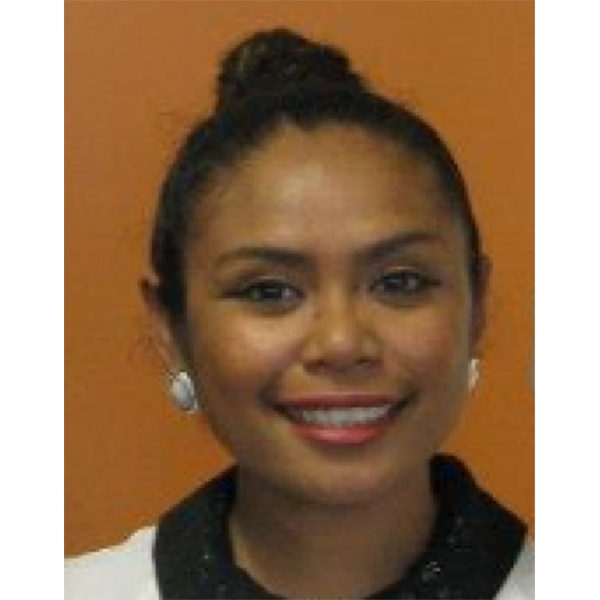 Dulce holds a Bachelors degree in Civil Engineering from Victoria University, Australia. Matt has worked on conservation and natural resource management in the Asia Pacific region for the past twenty years. Working with community organisations, NGOs and governments his work addresses the sustainability challenges of our times; climate change, biodiversity loss, sustainability of natural resource industries, and resilience in the face of natural disasters. Matt brings a strong grasp of programmatic and strategic design, project management, financing and grant-making, and community engagement practices. He has significant experience at the organizational level, paired with a strong fundraising record. His broad content knowledge includes community-based natural resource management (CBNRM), marine and coastal zone management, formal protected area management, small-scale fisheries, nature-based tourism and emergency management. In Indonesia, he led the team that developed the country’s first self-funded marine protected area network in West Papua. Before commencing his consulting work in 2017, Matt held senior positions with government and NGOs in Australia, Indonesia and Cambodia, and most recently worked as Conservation International’s Senior Marine Advisor in Indonesia (2013-2016). He holds Social Sciences and Science degrees, was the recipient of an Earthwatch Fellowship (an Australian National Science Award for Young People) and was an Australian Youth Ambassador. Ria has been working in marine conservation governance and improving coastal community livelihoods for over twenty years. She specializes in livelihoods of coastal communities, traditional user rights and access for fishing, gender roles in fisheries and community based economic development. Her interests in stakeholder and community engagement and building markets for community developed marine products has enabled her to also support the participation of coastal communities in marine product value chains and bring stakeholder groups at regional, national and local levels to discuss opportunities and ways to address constraints and opportunities to improve participation. She has worked on a number of bi-and multi-lateral assignments, including preparing several full proposal documents for UN/GEF organizations and NGOs. She is familiar with biodiversity financing mechanisms and planning biodiversity initiatives. Ria holds a Bachelor’s degree in Engineering and Spatial Planning from the Bandung Institute of Technology (Indonesia), a Masters degree in Business Strategy and Environmental Management from the University of Bradford (UK), and is currently acquiring her Doctorate in sustainable marine management and community based economic development in fisheries with Charles Darwin University (Australia). Skye has more than 15 years of experience engaging in environment and development issues at local, national, and regional levels across the Asia-Pacific region, with a focus on climate change, climate change adaptation (CCA), disaster risk reduction (DRR) and disaster risk management (DRM) interventions and policy. She has worked for the United Nations (UN) and development agencies, NGOs, research institutes and government; with roles focused in project and programme concept development, proposal production and implementation (such as under GEF, GCF), as well as research development for policy formation. Skye’s work has covered roles such as Climate Change Advisor to National Environment Directorates, Climate Change Specialist on UN programmes, Climate Change and Risk Reduction Specialist, Project Formulation Specialist, Research Associate and Coordinator of Asia-Pacific wide Climate Change Adaptation Knowledge and Research Platforms as well as Project Manager across government environmental projects and programmes. 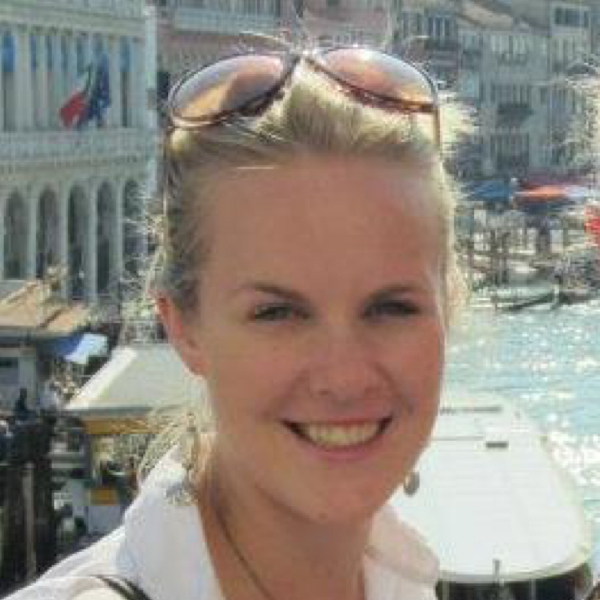 Skye holds a Bachelor of Social Science-Environment and a Masters in International Urban and Environmental Management RMIT University, and is currently undertaking a Doctorate in climate change adaptation processes in Indonesia and Timor-Leste with the University of Melbourne and Australian-German Climate College. Amielle’s work focuses on non-profit organizations as a powerful conduit for improving lives and changing the world for the better, whilst recognizing that aligning work towards the greatest possible impact can be a challenge. Whether it is evaluating and demonstrating impact, improving institutional learning, securing sustainable funding, managing change, or implementing innovative new programs – Amielle is passionate about working with organizations to achieve their greatest potential. 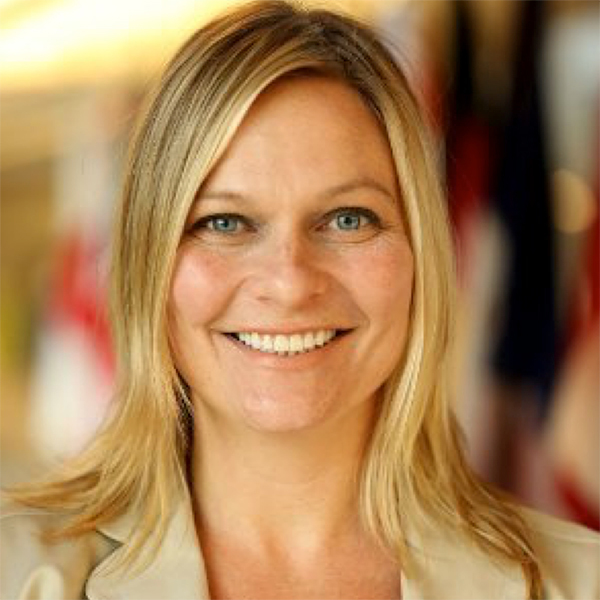 As the Executive Director and Co-Founder of Impact by Design, Amielle bridges non-profit missions with best practices in designing and implementing whole systems approach to impact-oriented monitoring, evaluation and adaptive management. Impact by Design offers human-centered consulting that focuses on building a deep understanding of a team’s needs and motivations, then designing tailored solutions that allow organizations to achieve their goals. 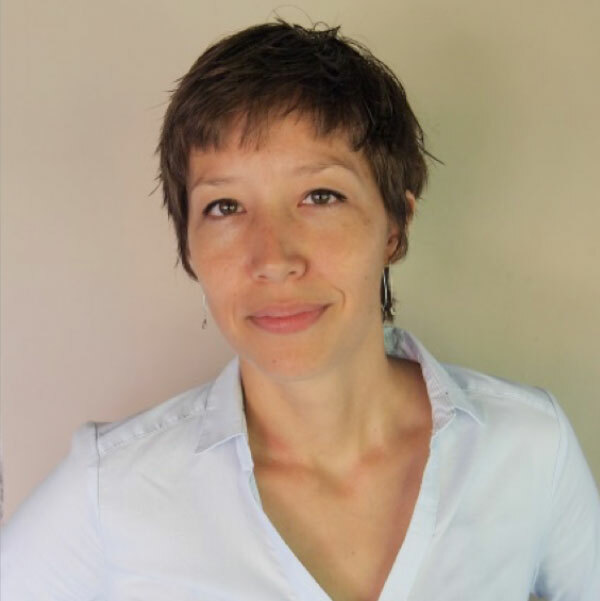 Amielle’s specialties include: monitoring, evaluation and learning (MEL), research design, training design, facilitation, institutional learning and adaptive management, behavior change, project management, and leadership development. She received her PhD from Cornell University in wildlife ecology, biostatistics, and GIS, her Masters from the State University of New York in Conservation Biology and Policy and Bachelors from the State University of New York Binghamton. Prior to becoming a consultant Amielle led planning, monitoring, and science departments at the International Fund for Animal Welfare, Rare, and Defenders of Wildlife. Sebastian is a tropical ecologist and software apps support developer who was worked on various topics related to forestry, conservation and climate change mitigation for the past 7 years. 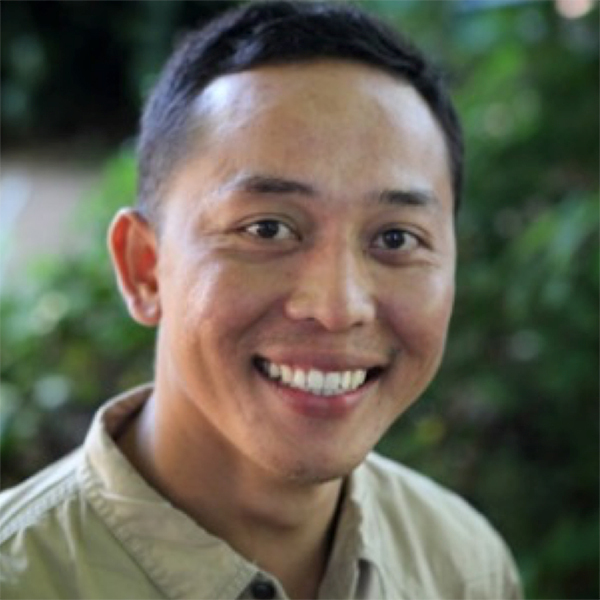 Through his deep knowledge in advanced data analysis and statistical programming, he has helped automate data analysis processes in a range of programs, including a pilot project for the national forest inventory of Lao PDR, as well as implementing analysis for the 2nd national forest inventory in Laos. He has conducted extensive research on carbon stock and carbon dynamics estimations in Sumatran peatlands in association with CIFOR, CIRAD, the James Hutton Institute and the University of Göttingen, gaining an in depth knowledge on tropical carbon cycles and climate change mitigation efforts. Furthermore he has advised on feasibility studies for REDD+ in Indonesia. Sebastian is the co-founder of a recently launched ‘Sustainability Apps’ company supporting the development of innovative Integrated web based applications to deliver data-driven sustainable solutions to socio-environmental problems, particularly in the areas of agribusiness. The apps are project and process-specific tools for integrating real time analysis with the concepts of adaptive management and streamlined work flows. 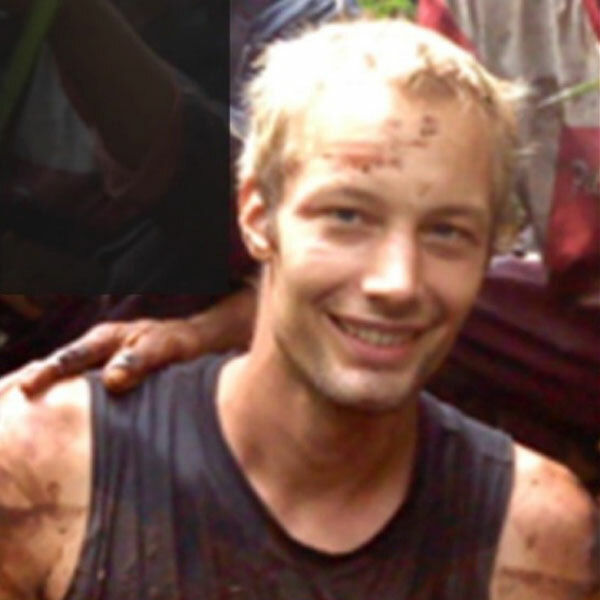 Sebastian has Bachelors in Forest Ecology and Management from the University of Göttingen, a Masters in Tropical and International Forestry from the University of Göttingen and in currently completing his PhD in Tropical Ecology also from The University of Göttingen. 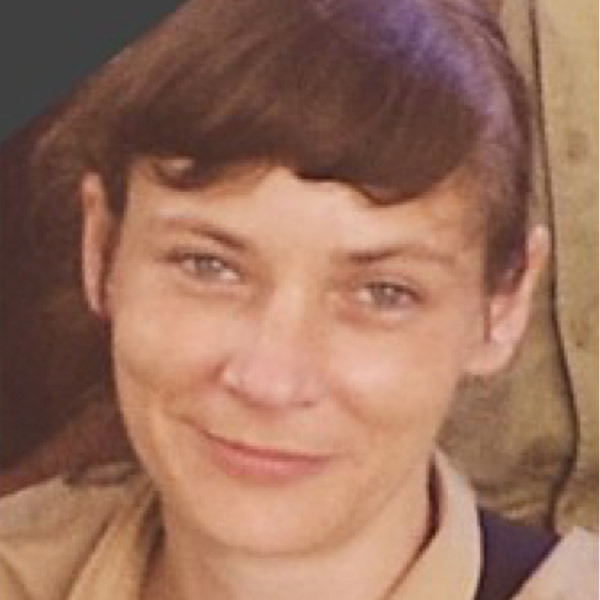 Laura is an experienced conservation manager who has supported terrestrial land management and biodiversity conservation initiatives with a wide range of organizations; NGOs, national and district governmental agencies, international and inter-governmental agencies, as well as corporate entities. She has technical expertise in wildlife trade, wildlife conservation (particularly large cats and great apes), protected area management, tropical peatland management, sustainable financing, biodiversity assessments and monitoring, integrated landscape management, commodities and certification (including for industrial landscapes such as Palm Oil Plantations), and landscape ecology. 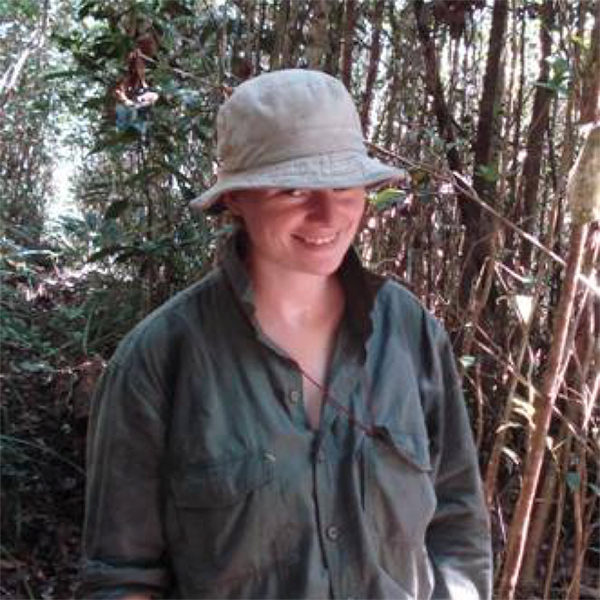 Laura sits on the Council of the Linnean Society, is a fellow of the Royal Geographical Society and member of the Association of Tropical Biology. She sat on Roundtable for Sustainable Palm Oil (RSPO) Biodiversity and High Conservation Value (HCV) Technical Working group for four years and was scientific advisor to the RSPO Compensation Task Force. Laura has also co-authored several guidance documents for the identification, monitoring and management of biodiversity in HCV areas, as well as on topics of human wildlife conflict. She holds a BSc in Environmental Conservation Management from Nottingham Trent (UK), a Masters in Conservation Biology from Manchester Metropolitan University (UK), and is a qualified teacher and expedition leader. Meri Persch-Orth has focused her work in Southeast Asia for the last decade. Most of her time has been with the international consulting firm Aidenvironment, working in sustainable forest management to make the oil palm plantation sector more sustainable. Assignments have ranged from supporting smallholders to increase their productivity and sustainability practices, to undertaking baseline studies, due diligence assessments, and analysis of land and resource related conflicts and disputes between local communities and corporate parties. Prior to joining Aidenvironment, she studied land acquisition processes and socio-economic impacts of large-scale oil palm plantations on local communities through intensive fieldwork in Kalimantan and Sumatra. Meri holds a Master of Science degree in Tropical Forestry and Management, and is an accredited mediator with both the Indonesian Center for Mediation (PMN) and UK-based Center for Effective Dispute Resolution (CEDR). She regularly teaches courses on conflict management and mediation with the Impartial Mediator Network (IMN). 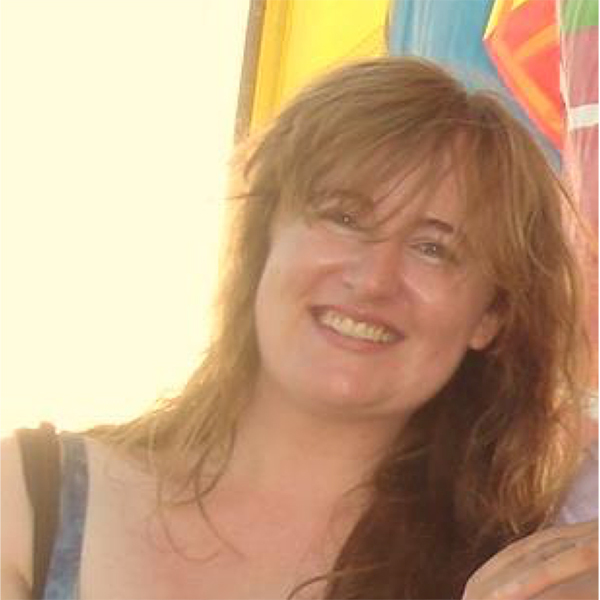 Manuela is a freelance researcher and editor with nearly 20 years’ experience working in journalism, academia, and IT. Latterly, her work has also involved her closely with Web product design, online content, and Information Architecture in various sectors including Heritage and Marine Sustainability. She is also a translator and interpreter in German, English, and Romanian and has edited, researched, and translated material on a wide range of topics ranging from literature, linguistics, anthropology, sociology, history, ethnography, and education to environment, health and wellbeing, and fiction. Her editing commissions include Professor Jack Goody’s The Theft of History, and Renaissances: The One or the Many? (Cambridge University Press, 2006, 2010), various titles from the Institute of Education Press (UCL) among many other books, academic papers, reports, and school curricula. Recently, she has been involved in a number of cultural initiatives elaborating project concepts, creating product design, specifying content requirements and structure as well as taxonomy and database schema design, collecting data through both desk-based research and fieldwork, and establishing and maintaining contacts with stakeholders. In addition, in this field she has designed and specified a web-based historical educational interactive product and a series of content directories while writing and researching source material. Manuela holds a Bachelors in German and English Language and Literature from Lucian Blaga University of Sibiu and a Master of Philosophy (M.Phil) in European Literature from the University of Cambridge. Susantry has more than 20 years of experience in operations and event management in support of sustainability related organizations. As former Operations Manager for The Nature Conservancy in Indonesia she led all events management, including Asia Pacific Board member meetings and Asia Pacific senior managers meetings, as well as travel and logistics support for more than 150 staff across the SE Asia region. 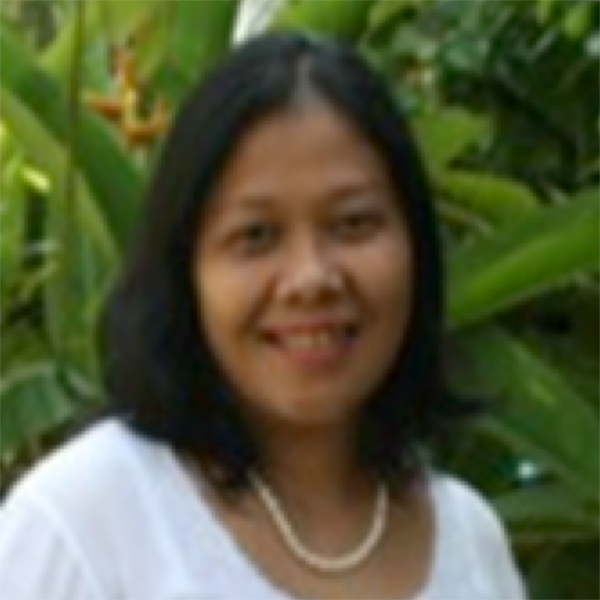 She has been supporting the work of the Coral Triangle Initiative (CTI) Secretariat since its inception in 2009, and became an independent consultant in 2012, focusing on supporting sustainability related ventures and institutions in event planning and organizing; including operations and human resources management, development and team building. In addition to this Susantry has provided assistance to the governments of the six nations across the Coral Triangle region of SE Asia for a range of senior official and associated inter-governmental meetings and events. She has also supported initiatives of the US Department of Interior International Technical Assistance Program, focusing on the empowerment of women leaders throughout the region, the establishment of a local government network, and the organization of business fora. She holds a Bachelors in Business Administration from Silliman University, Dumaguete, Philippines. Rai Ayu Saraswati (Saras) is a graduate from Udayana University. Her major was Aquatic Management Resources, in the Faculty of Marine and Fisheries. 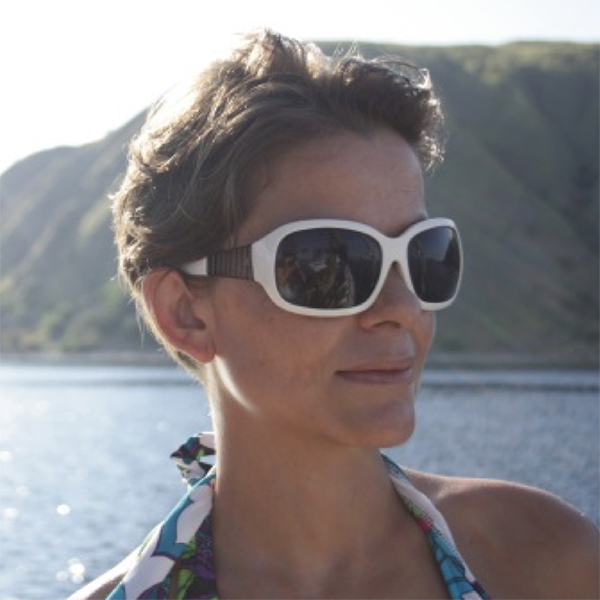 Since 2012, she has focused her interests on aquatic ecosystems, particularly the coastal environment. During her time as a student Saras joined several practical assignments assisting in her faculty; supporting areas such as microbiology, aquatic invertebrates, aquatic resource management and marine biology. In 2013 she became involved in a study group in Marine and Coastal Environments within her faculty, in the division of Ecology. Also in this year Saras undertook socio-economic surveying work in relation to surfing activities in Badung Regency within Conservation International. In 2016, she also joined an internship as a research assistant to the Marine Megafauna Foundation focusing on Manta Ray conservation and management of Microplastics. Her field work included sampling and social economic interviews with local stakeholders. Today Saras provides technical administrative support to the SSIC consortium whilst undertaking other support assignments and furthering her studies.